I keep plugging away at KTPA during free moments. One of the things I’m trying to do, and that I try to do in all my scenery, is create a very accurate ramp environment. 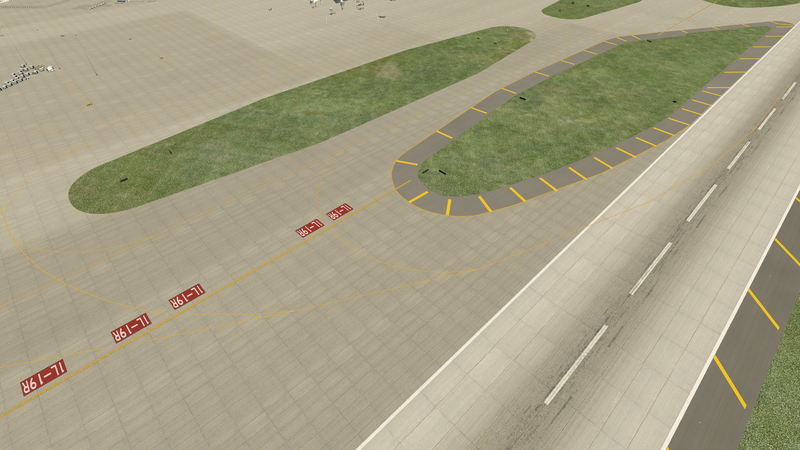 This means detailed placement of all lines, and KTPA has hundreds of them, including yellow bars and chevrons on the paved margins around taxiways. Thanks to the new art assets in WED and 11.1, one can now make these chevrons using yellow draped polygons. 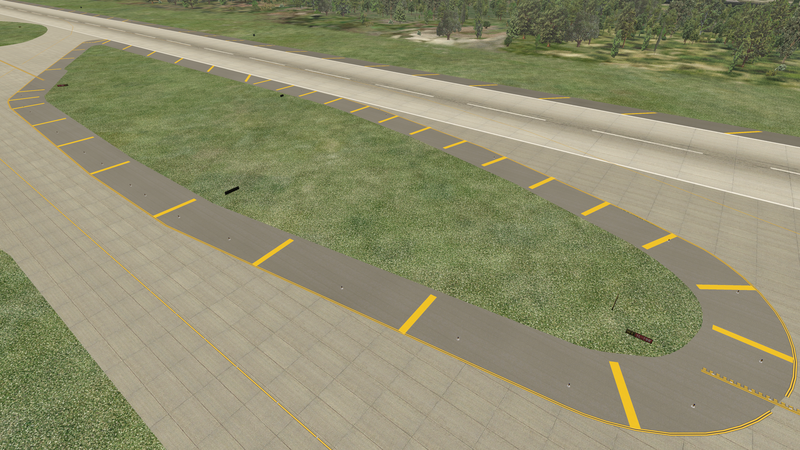 I’m also accurately portraying the taxiway margins, and hand placing every blue taxiway light. It’s a time-consuming process, and for me it’s not the funnest part of the design, but I think the results are worth it. Curious that nobody has melded Google Earth with a 3-D scenery fabrication program. Nellie, I don’t think Google will allow the use of their Google Earth to make third party sceneries. Sure, It will be amazing if one day that could be integrated somehow in flight similators like X-Plane, FSX or P3D. Already today you can download orthophotos from public databases and add them to XPlane scenery using WED.